Made using a genuine leather upper, the Hadley men's slippers by Sleepers have a slick, elegant look whilst allowing your feet to breathe. Slip in at ease with the twin elasticated gussets and be in ultimate comfort in seconds with the delicate padded lining which hugs your feet surrounding them with warmth and cosiness. With a durable rubber sole, these slippers are ideal for the men who like a spot of gardening as they are suitable for light outdoor use. After a long day, slip into a world of relaxation in seconds with these luxurious slippers. Showing 2 of our total 9 reviews, with an average rating of 5 stars. 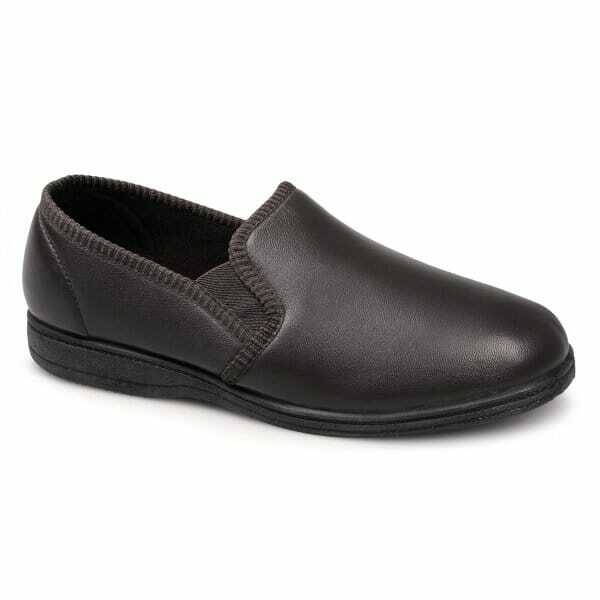 Read all 9 reviews for Sleepers HADLEY Mens Full Slippers Brown.